NAPA is looking for volunteers to help with specific projects! Please see project descriptions below. We expect each role to be a minimum commitment of 3 months (February – April) but with freedom and flexibility to work around your own schedule. Resumes and interest form will be due January 25, 2019. Questions can be directed to chair@napa-online.org. NAPA seeks a meticulous and organized individual to help volunteers stay on task with their assigned projects. This individual would be responsible for setting deadlines, keeping track of progress, sending reminders to project leads, and ensuring accountability. PMP Certification is highly preferred. 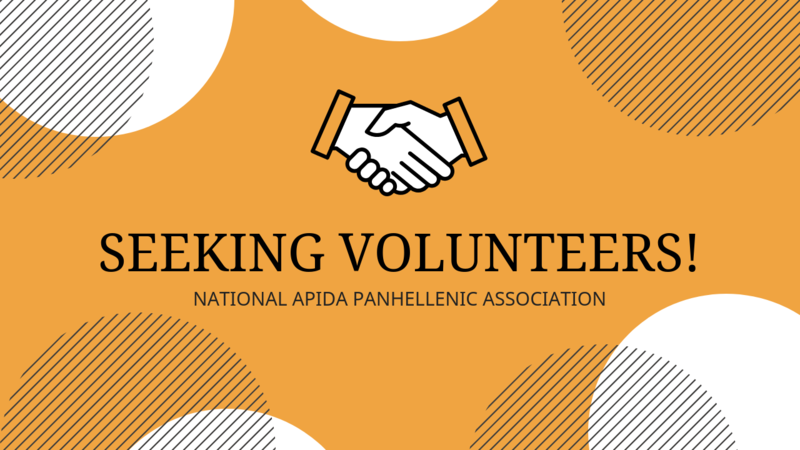 NAPA seeks a motivated and ambitious individual to schedule and host regular webinars for our members. These webinars could be topic focused based on member organization needs or curated by the individual themselves. Experience in using webinar recording software is highly preferred. NAPA seeks a logical, organized individual that enjoys writing to document and combine all of NAPA’s operational procedures into one place. This individual would also be responsible for making sure the Google Drive was properly organized so that all procedures are easily referenced. Experience in drafting/editing governing documents highly preferred. NAPA seeks a social media savvy individual to manage and curate content for NAPA’s Facebook, Twitter, and Instagram accounts with the goal of increasing engagement. Experience in utilizing backend analytics highly preferred.